I have been working hard on my planting unit and hope to post it on Teachers Pay Teachers soon. In the meantime, here is a free download for you! 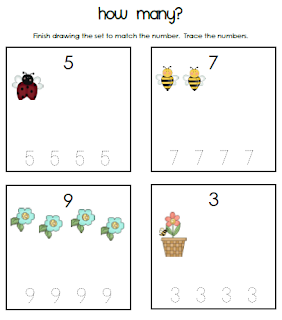 It is a math worksheet that combines number sense, number recognition and fine motor skills. Students simply draw the correct number of objects and trace the number. My kids love this as a math center or in their homework.